The role played by the presence of erodible material along the path of flow-like landslides is analyzed. The effects of type and physical mechanical properties of materials, thickness and slope geometry on the runout and the deposit geometry are investigated. Fully 2D and 3D numerical simulations have been performed representing small scale laboratory experiments and large scale field examples. The properties adopted for the erodible material strongly control the evolution of the landslide and the type of occurring mechanisms. These aspects have a major influence on the results and on the hazard zonation and should be taken into account. This study has been partially funded by the EC Safeland Project, GA No. 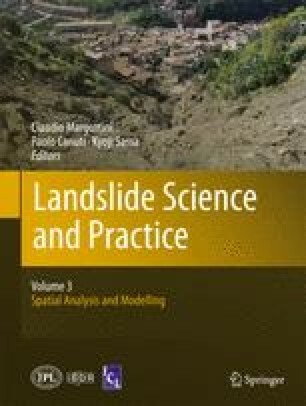 : 226479, Living with landslide risk in Europe: Assessment, effects of global change, and risk management strategies.